Why you choose our handbag? Emour Women's clutch bags are designed for represent a woman's beauty ,nobleness and elegance. 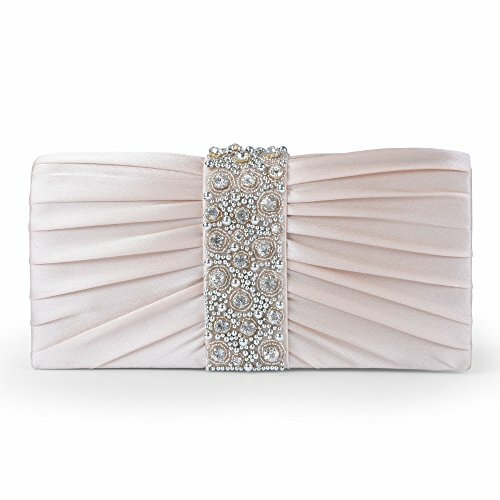 It's perfect for any parties ,balls, wedding, dating and etc, a delicate dazzling clutch can help a woman stand out in gatherings and become the center of attention. Any question or requirement about our products & services, please feel free to contact us through AMAZON Message. If for any reason you are not satisfied with your purchase, please contact us, we will help you solve it at the first time. Large capacity, can easily fit iphone 7 plus, wallet, compact mirror, lip gloss, and a pack of gum. If you have any questions about this product by Emour, contact us by completing and submitting the form below. If you are looking for a specif part number, please include it with your message.